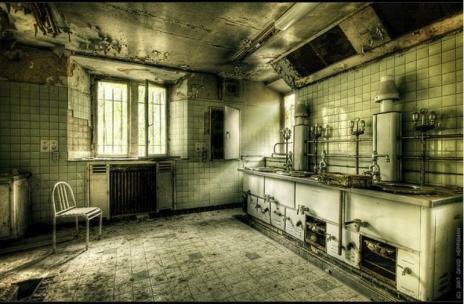 Ok, just to preface things, I’m not creepy, morbid or dead but places like this speak to me. They whisper in my ear and send chills up and down my back. I try to imagine all the stories they could tell and I wonder what they looked like when they were functioning abodes. I also appreciate their beauty in their current state. Castle Miranda is just that type of place. 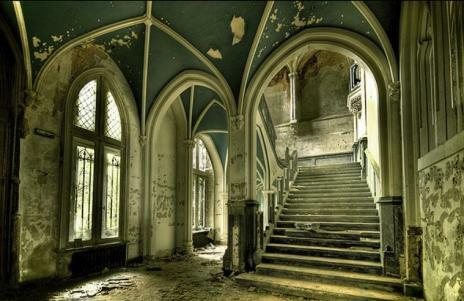 It has been in Celles, Belgium since 1866, but has long been abandoned to decay and rot. 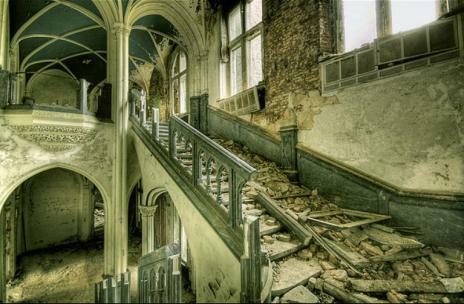 It is an urban explorer’s dream, and one such individual went in and documented the sad and eerie state it is in today. The ancestors of the family that own it fled to Celles during the French Revolution to hide in a farmhouse, and as the family grew they commissioned this wonderful castle from famed English architect Milner. 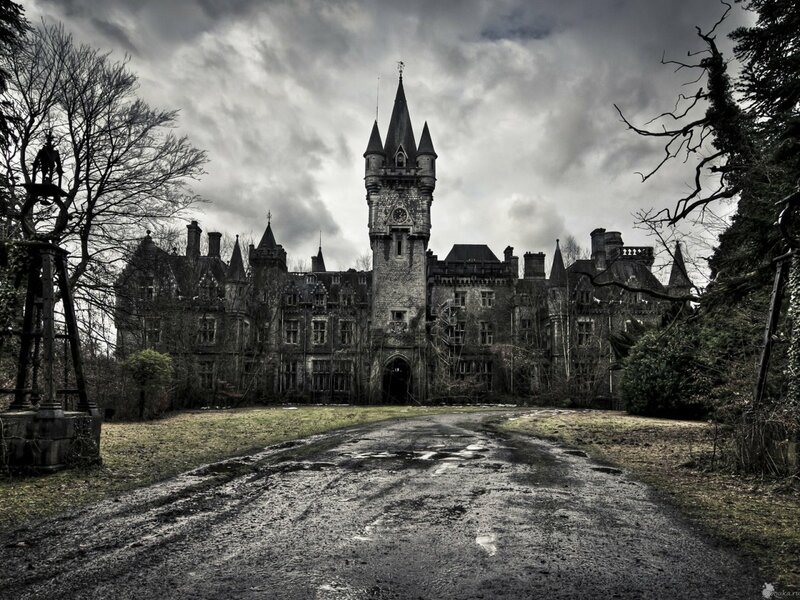 The castle is also known as Chateau Noisy after the children’s home it was turned into – following the Second World War – by the National Railway Company of Belgium for the children of employees. 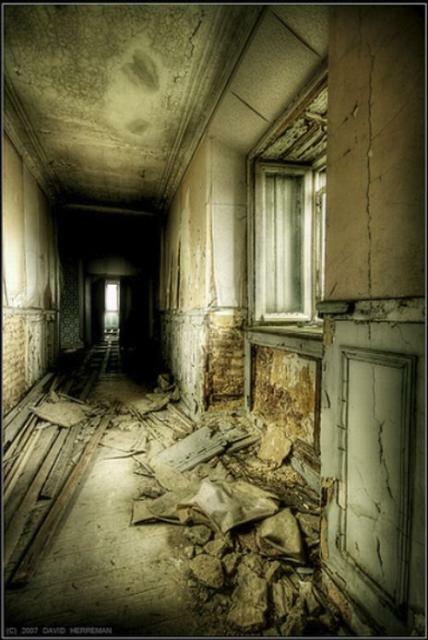 It stayed a children’s home until 1980 and has been abandoned since 1991. 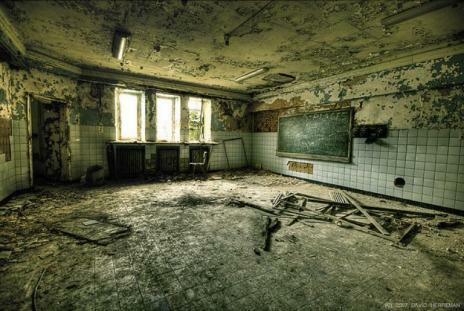 Here you see the destroyed classroom that was used, its paint flaking but with the blackboard still standing. Even the floors are gone, parquet or tile long ago stripped and taken away. We don’t know who it was – it could have been vandals or looters or the castle owners. The vandals set fire to different areas, including the horse barns, which have completely collapsed. One group of jokers put a mannequin of a “dead body” in the bathroom and hung some dolls from rafters as well. 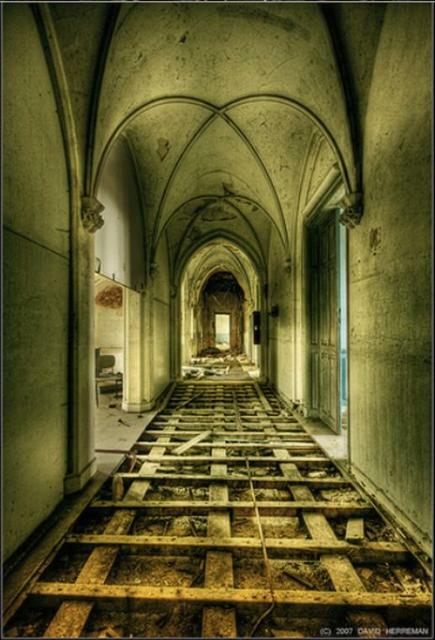 A long corridor, likely once hung with pictures, is now a haven of decay and rot. 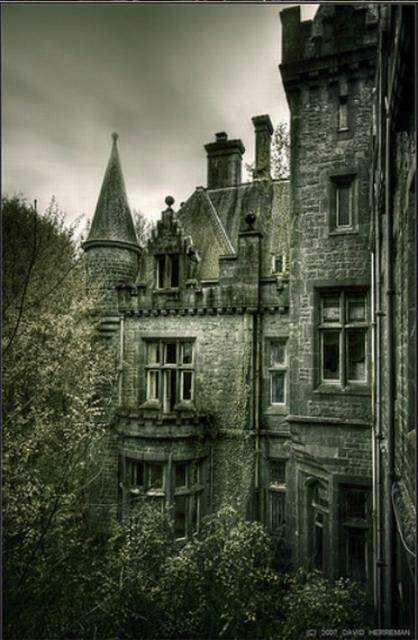 The stone is crumbling and mildew seeps in to add to the atmosphere of forgotten lives and dreams. Castle Miranda’s once elegant foyer, with its marvelous high-arced ceilings and windows, is a place of empty visions now. The place where beautifully dressed woman used to sweep down the stairs to go out for dinner or to greet guests is now a ruin. This stairway has crumbled into a dangerous slide now. You can see old picture frames lying in the rubble above. Bright light streaming in through the windows makes for quite a contrast with the decay found inside the castle. Check out this quick video that shows different yet similar views of this amazing structure and then help me book a ticket to Belgium, I have a house to explore. This entry was posted in Strange, Video. Bookmark the permalink.